Corine Vriesendorp was in her office at the Field Museum late Wednesday when she got news from nearly 4,000 miles away: Her 15-year effort to save 2 million acres of Peruvian rainforest had culminated in the ultimate achievement. Peru’s Ministry of Environment announced Wednesday the creation of a new national park – Parque Nacional Yaguas, or Yaguas National Park – a designation that will protect a vast expanse of forest along a tributary of the Amazon River that is regarded as one of the most biodiverse places on Earth. 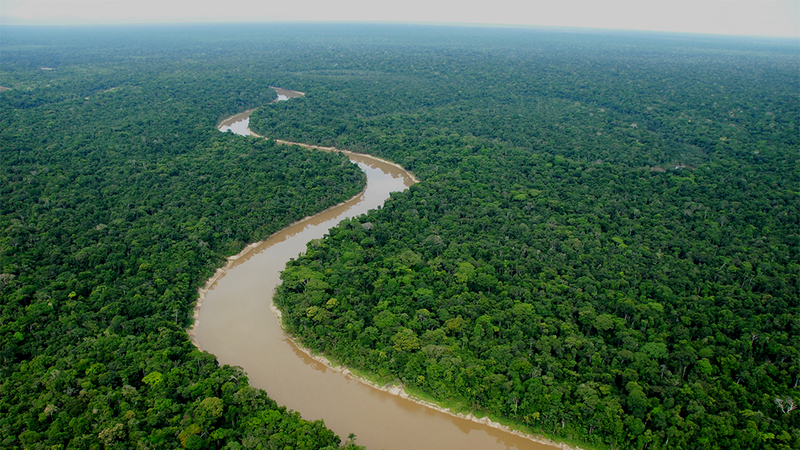 The announcement follows six years of negotiations with the region’s indigenous groups and comes 15 years after Vriesendorp first visited Yaguas in 2003 to conduct an inventory of plants and species in this remote area of northeastern Peru. Since then, Vriesendorp, a conservation ecologist at the Field Museum, has led efforts to protect the region, working with about 10 other staff from the Field, along with indigenous federations and Peruvian government agencies and conservation groups. The development marks a positive turn for a region still marred by tragedy. In the early 1900s, as many as 100,000 people from indigenous groups were killed during the Amazon rubber boom. Eager to extract and sell rubber from trees in the tropical region, rubber barons carried out human rights abuses that included forced labor, slavery, torture and mutilation. In Yaguas (pronounced YAHG-wahs) alone, estimates show that 35,000 people were killed, Vriesendorp said. Today, the region is home to 1,100 descendants of the rubber boom victims from six indigenous groups: Bora, Murui, Tikuna, Kichwa, Ocaina and Yagua. Vriesendorp said indigenous groups regard the Yaguas as a sacred place, what they call Sachamama, a Quechua word that translates to “mother jungle” and embodies the landscape where natives fish, hunt and gather. Yaguas is home to thousands of species of plants and hundreds of species of birds and mammals. Creatures native to the region include jaguars, anteaters, tapirs, freshwater dolphins and stingrays. The rainforest also affects the water cycles and rain patterns across the globe, Vriesendorp said. Water released by trees during photosynthesis forms clouds that eventually produce rain. When forests are destroyed, there’s less water in the atmosphere, leading to droughts. Starting in 2003, Vriesendorp and her colleagues made several trips to the remote area, which takes two flights from Lima – Peru’s capital – and two days by boat to reach, though the Field team took a helicopter for the final leg. Joined by an international team of biologists, social scientists and guides, the Chicago team documented the plant and animal life in the area and talked with indigenous groups about how they used the landscape and what they envisioned for its future. After producing reports on Yaguas’ biodiversity and people, the team presented its findings to the Peruvian government. The reports led the government to designate the region as a protected zone in 2011. But it took another six years to secure the designation as Peru’s 15th national park, due in part to illegal logging and gold mining that continue to threaten the region. The national park designation, however, will allow the government to send new staff to Yaguas. It will also protect the forest from any commercial activity. On Jan. 23, Vriesendorp and other Field scientists will be back in Peru for an event in Lima to celebrate the new national park, an achievement that at times appeared in doubt, she said. Sept. 26: Meet Clive Stockil, a conservationist being honored in Chicago who is helping Zimbabwe’s rhinos bounce back from the threat of extinction. July 27: A first-of-its-kind study shows that giving people a financial incentive to save trees is an effective strategy for fighting climate change. May 12: A first-of-its-kind study shows that forests in Chicago face significant threats from climate change, with native trees especially vulnerable to increases in temperature, precipitation and other changes.